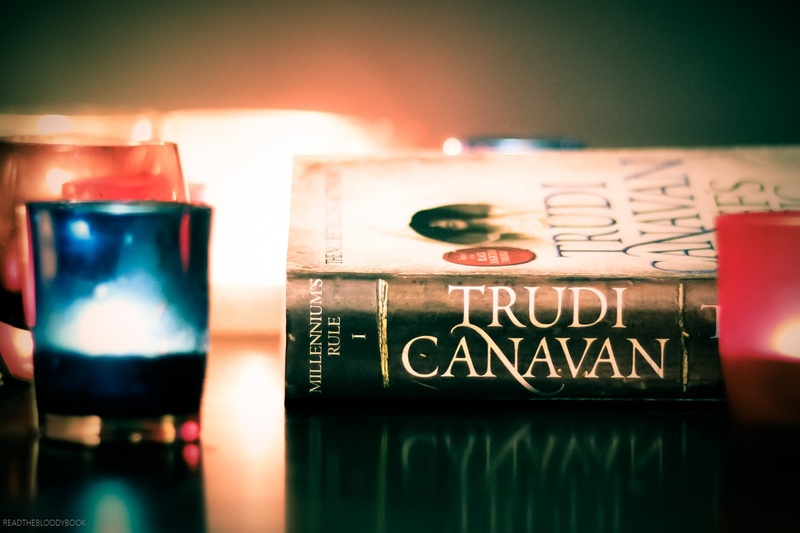 I am so happy to be concluding the blog tour for Trudi Canavan’s book, Thief’s Magic (Book I in the Millenium’s Rule Trilogy). This is actually my first blog tour so it’s quite exciting. Thank you to Hachette Australia for inviting me to participate. What’s it about? This is a book of two completely different stories. The first is the story of Tyen, a sorcery student at the Academy, a powerful university that trains students in everything from History to Sorcery. While on a school trip, Tyen finds a magical book that used to be a person, a she to be exact. But rather than luring muggleborns to a giant snake monster, she reads the thoughts of anyone who touches it and stores that information to pass on to anyone who asks for it. I want one. When the Academy takes the book from Tyen and figure out what she can do (and that she’s read all their thoughts), they completely flip out and Tyen is forced to run from his home to save her. The second is the story of Rielle, a young girl who can see (and therefore use) magic in a society where any use of magic by anyone who is not a priest will have their soul torn apart by Angels. Particularly if they are women. Women are not much more than cattle in this world. Anyway, she meets painter, they paint stuff, she falls in love, and seeks out the magical (and rather severely illegal) equivalent of planned parenthood and then has to deal with the consequences. What did I think? Well, this book is rather hard to review because these two stories are so distinct. They could almost be two completely different books. And I must say, I loved one of them much more than the other. That isn’t to say that I disliked the other story, but I was really all about Tyen with this book. What can I say, as someone who practically lives at a university and is currently doing a PhD (although unfortunately not in sorcery) I love a fantasy university. The world building and magic system in Tyen’s world is fantastic. It’s all smokey cities with airships and magic-powered machines. And Tyen is also a great character. He is a very nice young man. He’s the kind of guy who if you broke into his house to rob him, he would offer you a cup of tea and help carry the TV out to your getaway car. This isn’t because he’s a gutless whimp, he is absolutely nothing of the sort, but because he would probably consider your need greater than his. Tyen is brave and powerful, but always acts in the interest of others and has no desire to use that power to further his own interests. He’s a sweetheart and I want to smoosh his cheeks. Rielle’s story to me was somewhat less impressive. The world is far less exciting. There’s no airships or magical machines. It’s just a dry dusty place with some artists, some priests, and a whole lot of prejudice. But it is the more emotional of the two stories. In the beginning her story seems like just a romance with lots of painting and walking around and not a lot else. And I wasn’t a huge fan of the love interest. I’m still not convinced he wasn’t just using her. But eventually the romance takes a back seat and we really start to see Rielle. Thank the Angels! Towards the end of the book Rielle’s story really gets going and we get to see what a strong person she is. This girl can take anything you can throw at her and she will never complain. She will do what needs to be done and she will do so quietly and with grace. It just took a bit longer than I would have liked to get there. If you are a fan of romance (which I’m not really at all) then you will probably love Rielle’s story. It is a good story, just Tyen’s story had magical books and pet mechanical insects and how can you beat that? Overall, I enjoyed this book (and loved Tyen’s half!) and I would recommend it to any fantasy fan. The world building and unique magic system is fantastic. I’m really excited to see how these two stories are brought together in the next book and to see if my theories (I have so many) of how these two are connected actually pan out. So go read it and feel free to discuss your theories with me! 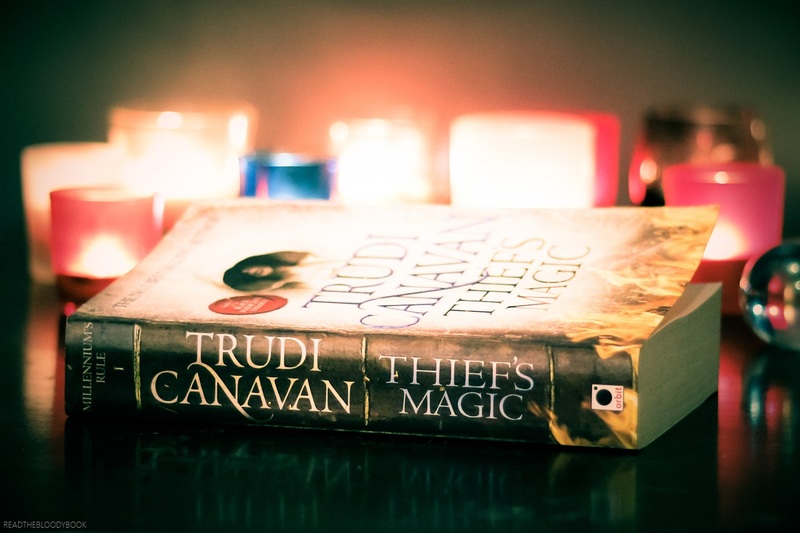 ENTER THE GIVEAWAY (VIA RAFFLECOPTER) TO WIN ONE OF FIVE SIGNED COPIES OF THIEF’S MAGIC! Next PostGoodreads Trolls getting you down? my personal story, but also a solution!